Dream to Product is another name for SOLID Development Corp, founded in 2012 with a vision to help people make their dream products. Originally based in Chicago, SOLID moved to Evanston in 2016 and owns one of only a few industrial properties in the area. SOLID has recently expanded the services it offers to include manufacturing, packaging and order fulfillment. These expanded services have helped SOLID become a one-stop solution to help our customers reach the finish line. For over 20 years, Share Machine has been able to provide advanced CNC machining services for a wide array of industries and universities. Our machining processes allow us to specialize in the design and manufacturing of close-tolerance custom and production run CNC machined parts. We can fabricate parts from over 50 different materials types, including metals, plastics, precious metals, and other material types. Kenyeri Engineering & Manufacturing provides your total workholding solution, taking a workholding application from chuck specification through design and fabrication of jaws, locators, plates, drawbars and more. We blend engineering expertise with customer focus, listening to your plant’s concerns and objectives. Our customer base spans the globe and includes industries such as medical robotics, electronics assembly, semiconductor manufacturing, packaging, cutting machines (CNC), aerospace and defense, and many others. Spiriplex specializes in micro-sample allergenic diagnostics, providing clinical laboratory services throughout the United States. Our Vision: To be the leading provider of allergy diagnostic services to improve patient health. Allergenex is the culmination of our expertise on delivering key clinical laboratory values to assist in the identification, management, and treatment of patients with allergies and allergic asthma. SynChem, Inc., is a chemistry-based contract research organization specializing in organic synthesis, process development, medicinal chemistry and CMC services under cGMP conditions. 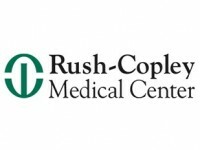 Formed in 1912 as the Chicago Hospital-College of Medicine, today RFU brings together five colleges and over 30 graduate health profession and science programs. 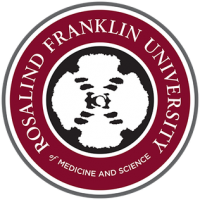 Our private, non-profit university teaches a range of disciplines on a single campus, allowing for team-based, interdisciplinary learning and practice opportunities—an approach that has made RFU a national leader in interprofessional medical and healthcare education and research. Current delivers advanced research and market-driven innovations to enhance water resources, build resilience and drive sustainable economic growth by bridging gaps in water technology commercialization.